“When I was in college a professor told us a story about an architect (Developer) who would build all of his buildings, but put down no sidewalks. He would just plant grass. Six months later he would come back and put sidewalks down where all the paths were worn. In this way, he assured that the walks would be where the people were mostly [sic] likely to walk. The point of the story was that we should observe how people do whatever it is we are trying to model in software and then build it to work that way, thus creating ‘user friendly’ software” (Khadaji, 2005). This past week we were able to delve into an overview of Learning Management Systems (LMS) and explore several, highlighted as the top fifty, as well as other LMS (Barrish, 2015). I use WordPress (n.d.) which is built on open-source software, so I was immediately drawn to Moodle LMS (n.d.) which is also open-source software. “Open-source software (OSS) is computer software with its source code made available with a license in which the copyright holder provides the rights to study, change, and distribute the software to anyone and for any purpose. Open-source software may be developed in a collaborative public manner” (Wikipedia Community, n.d.). Moodle was created before cloud computing was popular, so it is a harder to set up than the current cloud-based systems, but should not be a problem for the tech specialist of the district. Because of this layer of complexity, I did not set up a Moodle account for myself. However, Moodle LMS is full featured and used by many schools and universities. John Haire, the principal of Potlatch Elementary School graciously made time to meet with me and discuss educational software that the district uses. The district is served by one technical specialist and so there is coordination between the two buildings (Potlatch Elementary School and Potlatch Jr./Sr. High School). Potlatch Elementary School uses Edmodo (n.d.), Class Dojo (n.d.), and Google Apps for Education (Google, n.d.). Additionally the Jr./Sr. High School uses SARA app (Dass, 2016) to keep parents aware of team scheduling programs and changes; and a program called FamilyLink by SchoolMaster (Tyler Technologies, 2015) whereby parents can subscribe to school announcements. MOODLE EDMODO CLASS DOJO GOOGLE APPS 4 ED. Click HERE for printable PDF chart. Class Dojo is used mainly for monitoring and enhancing classroom behavior, and as such is not an LMS, but rather an app created for a particular purpose. However, the other three (Moodle, Edmodo, Google Apps for Education) are true Learning Management Systems and have various strengths. Google Apps for Education can become Google Classroom with a school account. Google Classroom is a free LMS but may have drawbacks regarding student privacy (Kamenetz, 2015). Edmodo does well for how we use it, and though it may seem limited compared to the others, some of the features that are missing are not critical to our deployment. Moodle seems the most secure as it can be installed on a district server. It is very configurable as well, but this may require coding and maintenance after installation that could be overly time consuming for a district with just one tech specialist. Furthermore, its target audience is 1000+ which is too large for our purposes. The district seems to be doing well with what it has been given regarding budget and student security. Like paths intelligently created in the Architect Story, teachers, administrators, and students are discovering what works for us regarding educational technology. Teachers are serving our students with innovative techniques. 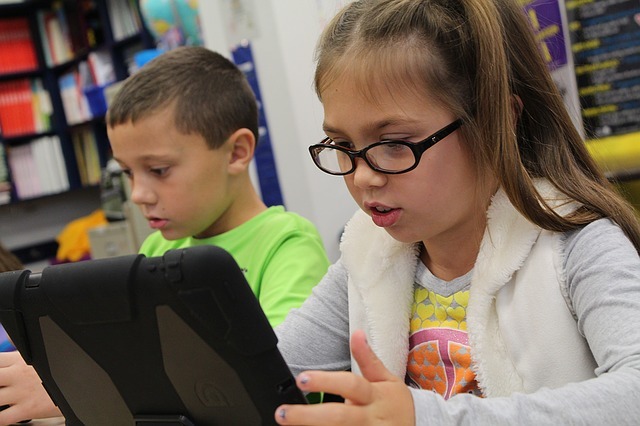 They teach digital natives to exercise Digital Citizenship. Teachers are enjoying technical applications for the classroom as they leverage higher order learning facilitated by the readily available information found on the web.